November 17, 2009 - Back in April 2009, the NTSB called on the FAA to ground the Zodiac CH-601XL after the Safety Board linked six accidents involving that aircraft model to aerodynamic flutter, a phenomenon in which the control surfaces and wings of the airplane can suddenly oscillate and lead to catastrophic structural failure. Those accidents killed a total of ten people. Preliminary investigation of the November 6 accident in Arkansas reveals a failure mode similar to that seen in the earlier crashes. An experimental airplane of the same series that the National Transportation Safety Board urged the Federal Aviation Administration to ground seven months ago, until a flight control problem could be corrected, was involved in another fatal accident last week. On November 6, 2009, a Zodiac CH-601XL, an experimental amateur-built airplane, was destroyed as a result of an in- flight breakup near Agnos, Arkansas, killing the pilot who was the sole occupant. The debris field was scattered over an area more than 600 feet long. Both wings had separated from the fuselage in-flight. The Safety Board's urgent recommendation to the FAA was to "prohibit further flight of the Zodiac CH-601XL, both special light sport aircraft and experimental, until such time that the FAA determines that the CH-601XL has adequate protection from flutter." The FAA replied in July that they lacked "adequate justification to take immediate certificate action to ground the entire fleet." The Zodiac is available as a ready-to-purchase airplane (classified as a special light sport aircraft), which is manufactured by Aircraft Manufacturing and Design, LLC, and as an amateur-built plane from a kit (classified as an experimental aircraft) available from the designer, Zenith Aircraft Company. On November 7, one day after the accident in Arkansas, the FAA issued a Special Airworthiness Information Bulletin strongly recommending that all owners and operators of Zodiac CH-601XL/CH650 airplanes comply with a Safety Alert/Safety Directive issued by the manufacturer, Aircraft Manufacturing and Design, LLC. The Safety Alert/Safety Directive requires all owners of special light sport aircraft models to make structural modifications to the airplane and add aileron counter-balances before further flight. Since the directives of the manufacturers of special light sport aircraft must be complied with, those aircraft not in compliance are effectively prohibited from further flight. The designer, Zenith Aircraft Company, has asked the owners of the kit-built experimental airplanes to make the same modifications, but there is no requirement that the modifications be completed before further flight is attempted. "We are pleased that the FAA and the manufacturer have acted on the safety-of-flight issues that we identified with the Zodiac special light sport airplane. We are troubled, however, that no modifications are required on the amateur-built planes," said NTSB Chairman Deborah A.P. Hersman. "We are very concerned that a lack of required compliance may lead to more accidents like the one in Arkansas, and others we've already seen," she said. The Safety Board's investigation of the November 6 accident is on-going. NTSB on April 14, 2009, issued an urgent safety recommendation to the Federal Aviation Administration (FAA) in which it asked the agency to prohibit further flight of a type of a small airplane that has been involved in six in-flight structural breakups since 2006. The recommendations apply to the Zodiac CH-601XL, a low-wing, fixed-gear, single- engine, two-seat general aviation airplane designed by Zenair, Inc. In its urgent safety recommendation, the Board cited four accidents in the United States and two in Europe in which the CH-601XL broke up in-flight killing a total of ten people. Aerodynamic flutter - a phenomenon in which the control surfaces of the airplane can suddenly vibrate, and if unmitigated, can lead to catastrophic structural failure - is suspected in all of the accidents. 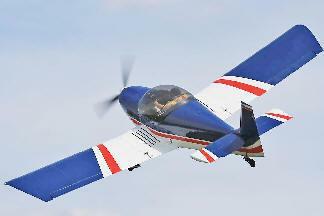 The CH-601XL was certified as a Special Light Sport Aircraft (S-LSA) by the FAA in 2005. This type of certification does not require that the FAA approve the airplane?s design. Instead, the airplane model is issued an airworthiness certificate if the manufacturer asserts that the plane meets industry accepted design standards and has passed a series ground and flight tests. The Safety Board?s urgent recommendation to the FAA is to prohibit further flight of the Zodiac CH-601XL until they can determine that the airplane is no longer susceptible to aerodynamic flutter. The Safety Board?s investigations of the accidents that occurred in the U.S. point to a problem with the design of the flight control system, which makes the airplane susceptible to flutter. ?The NTSB does not often recommend that all airplanes of a particular type be prohibited from further flight,? said NTSB Acting Chairman Mark V. Rosenker. ?In this case, we believe such action will save lives. Unless the safety issues with this particular Zodiac model are addressed, we are likely to see more accidents in which pilots and passengers are killed in airplanes that they believed were safe to fly.? The Board also found that the stick force gradient - a measure of the force applied to the control stick and the increase in lift that results - was not uniform throughout the range of motion, particularly at high vertical accelerations or Gs. The lessening of the gradient at high Gs could make the airplane susceptible to being inadvertently over-controlled by the pilot, which could create a condition in which the airplane is stressed beyond its design limits leading to an in-flight structural failure. In addition, problems with the airspeed indication system were identified. Errors with the correlation between the actual airspeed of the airplane and that shown on the instruments in the cockpit could result in the airplane being piloted at airspeeds exceeding design limits, which could compromise the plane?s structural integrity. While the airspeed indication issue has not been linked to any accidents, the Safety Board believes that this is a safety-of-flight issue that should be corrected. The date, location and circumstances of the six accidents the Board cited in which the CH-601XL suffered in-flight structural failures are as follows: On February 8, 2006, near Oakdale, California, a CH-601XL crashed after its wings collapsed (two fatalities). On November 4, 2006, a CH-601XL broke up in flight while cruising near Yuba City, California (two fatalities). On February 5, 2008, a CH-601XL crashed near Barcelona, Spain, after its wings folded up during a descent shortly before landing (two fatalities). On April 7, 2008, a CH-601XL broke up in flight near Polk City, Florida (one fatality). On September 14, 2008, a CH 601XL crashed in the Netherlands (two fatalities). On March 3, 2009, a CH-601XL broke up in flight while cruising near Antelope Island, Utah (one fatality). In addition to the urgent recommendation to the FAA on prohibiting further flight of the Zodiac CH 601XL, the Safety Board issued the following seven additional recommendations to the FAA: 1) make a comprehensive evaluation of the wing and aileron system on the Zodiac CH 601XL to identify design and/or operational changes that will reduce the potential for flutter; 2) notify owners of Zodiac CH-601XLs of any design and/or operational changes to the CH 601XL and require them to implement the changes; 3) work with ASTM International to incorporate standards for light sport airplanes that would reduce the likelihood of encountering in-flight flutter; 4) evaluate the stick force gradient at the aft center of gravity and especially at the higher Gs, and notify pilots of such effects; 5) develop standards on stick force characteristics for light sport airplanes that minimize the possibility of pilot?s inadvertently over-controlling the airplane; 6) ensure that the pilot?s airspeed indicator accurately reflects the Plane?s velocity and update pilot operating handbooks (POHs) accordingly; and 7) work with ASTM International to ensure standards for light sport airplanes result in accurate airspeed indications and appropriate documentation in new airplane pilot operating handbooks. The Board?s investigations have identified several areas in which the design standards for light sport airplanes were deficient. ASTM International provides the standards that are developed by industry working groups. The NTSB has asked the ATSM to take the following actions: 1) Add requirements to ensure the standards for light sport airplanes reduce the potential for aerodynamic flutter to develop; 2) develop standards on stick force characteristics for light sport airplanes that minimize the possibility of pilot?s inadvertently over-controlling the airplane; and 3) ensure standards for light sport airplanes result in accurate airspeed indications and appropriate documentation in new airplane pilot operating handbooks.